Human industry and ingenuity has done more to diversify and distribute minerals on Earth than any development since the rise of oxygen over 2.2 billion years ago, experts say in a paper published today. The work bolsters the scientific argument to officially designate a new geological time interval distinguished by the pervasive impact of human activities: the Anthropocene Epoch. 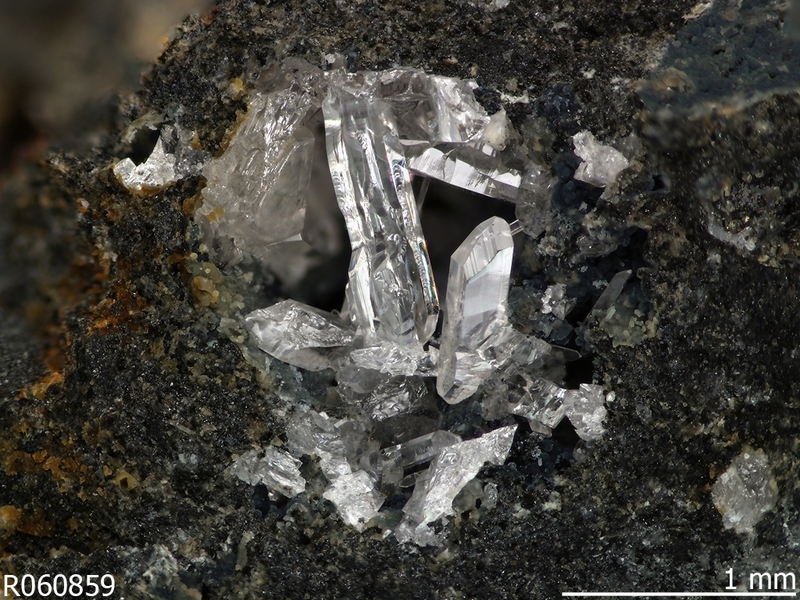 In the paper, published by American Mineralogist, a team led by Robert Hazen of the Carnegie Institution for Science identifies for the first time a group of 208 mineral species that originated either principally or exclusively due to human activities. That’s almost 4% of the roughly 5,200 minerals officially recognized by the International Mineralogical Association (IMA). Most of the recognized minerals attributed to human activities originated through mining — in ore dumps, through the weathering of slag, formed in tunnel walls, mine water or timbers, or through mine fires. Six were found on the walls of smelters; three formed in a geothermal piping system. Some minerals formed due to human actions can also occur naturally. Three in that category were discovered on corroded lead artifacts aboard a Tunisian shipwreck, two on bronze artifacts in Egypt, and two on tin artifacts in Canada. Four were discovered at prehistoric sacrificial burning sites in the Austrian mountains. According to the paper, the first great ‘punctuation event’ in the history of Earth’s mineral diversity occurred more than 2 billion years ago when the increase of oxygen in the atmosphere — 'the Great Oxidation’ — gave rise to as many as two-thirds of the more than 5,200 mineral species officially recognized today. Says Dr. Hazen, who co-wrote the paper with Edward Grew of the University of Maine, and Marcus Origlieri and Robert Downs of the University of Arizona: “Mineral evolution has continued throughout Earth’s history. It has taken 4.5 billion years for combinations of elements to meet naturally on Earth at a specific location, depth and temperature, and to form into the more than 5,200 minerals officially recognized today. The majority of these have arisen since the Great Oxidation event 2 billion years ago." 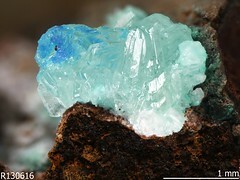 A mineral species is defined as a naturally occurring crystalline compound that has a unique combination chemical composition and crystal structure. As of February, 2017, the IMA had approved 5,208 species (see rruff.info/ima for a complete list). Of the 208 human-mediated minerals recently identified by Deep Carbon Observatory researchers, 29 contain carbon. Origins and forms along with movements and quantities are four themes of the Deep Carbon Observatory. Now we know that as many as 29 carbon minerals originate with human activities. Scientists discovered these 29 carbon-bearing species in locations ranging from old mine tunnels in the Four Corners region of the American Southwest to storage cabinets in the Royal Museum of Natural History, Brussels, Belgium to lead and bronze artifacts in a late-Hellenistic shipwreck off the coast of Mahdia Tunisia. (See map). Of these 29, 14 have no recorded natural occurrences. It is fair, therefore, to consider the 14 as the youngest carbon mineral species. Among the 14, candidates for the very youngest include a dozen minerals related to uranium mines. The task of finding and identifying human-mediated and carbon-bearing minerals is arduous, and often yields surprises, sometimes intrigue. Take for instance, the mineral andersonite, which is found on tunnel walls in abandoned uranium mines. Dr. Marcus J. Origlieri, one of the paper’s authors from the University of Arizona explains, “If the tunnel didn’t exist, the mineral probably wouldn’t persist on the surface of the Earth. The tunnel protects andersonite and similar minerals from the sun, winter, and rain that otherwise might destroy them. Humans created the tunnel that allows andersonite and similar minerals to precipitate from waters already percolating through the rock. Another example of a mineral associated with both human activity and natural processes is tinnunculite, uric acid dihydrate. 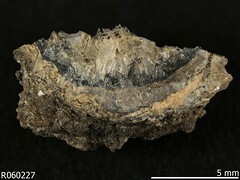 This mineral was first reported in 1989 as a product of hot gases that reacted with kestrel excrement at a burning coal mine in Kopeisk, Chelyabinsk, Russia. Tinnunculite was named after the Eurasian kestrel (Falco tinnunculus) since its excrement is a vital ingredient. Later, tinnunculite was found on Mt. Rasvumchorr, Khibiny, Russia as a product resulting from the action of the cold and wet arctic climate of the Kola Peninsula on bird excrement; this entirely natural occurrence led to the mineral being approved by the International Mineralogical Association in 2015. 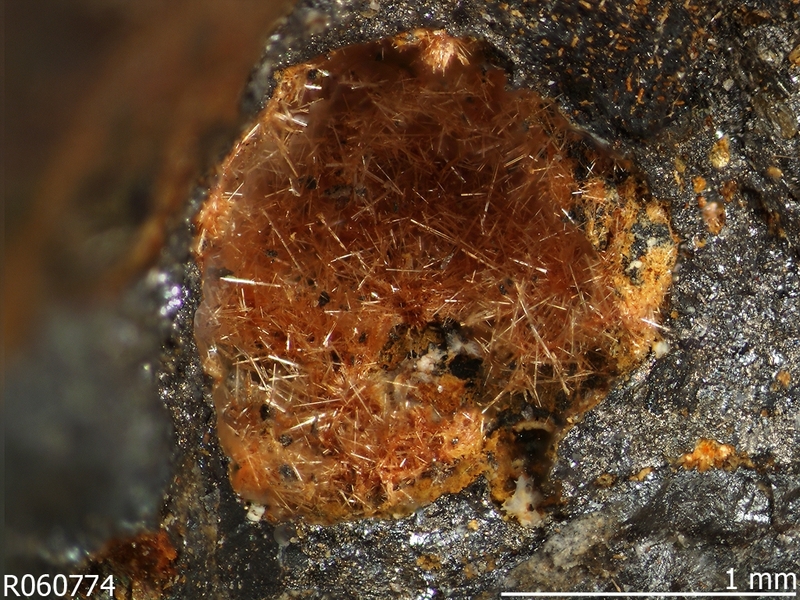 Tinnunculite is one of eight new minerals discovered as part of the Deep Carbon Observatory’s Carbon Mineral Challenge launched in 2015 to find an estimated 145 carbon-bearing minerals remaining to be discovered. As for the intrigue in human-mediated minerals, the validity of two minerals from Nizhnii Tagil, Middle Urals in Russia – niobocarbide and tantalcarbide, the latter discovered in 1909 – remains in question and may possibly be a hoax. Igor Pekov, wrote about this intrigue in his 1998 book on minerals discovered in the former Soviet Union: “It remains unclear where, how, and who managed to wash up such a great quantity of tantalcarbide consisting of absolutely unrolled crystals and skeleton growths.” Today, the origin of tantalcarbide remains a mystery. Questions range from “What is it: a wonderful mineral that formed under exotic conditions or a laboratory product, which by chance appeared for mineralogists’ consideration or was it deliberately passed off as a natural material at the beginning of this [the 20th] century?” The right answer is not apparent. Even with this history, the International Mineralogical Association accepted tantalcarbide as valid and approved niobocarbide in 1995. Dr. Edward S. Grew, a research professor at the University of Maine and another of the paper’s authors, suggests that tantalcarbide and niobocarbide may not have survived the more critical stance toward minerals suspected of being human-mediated, which the International Mineralogical Association has since adopted; nonetheless, it has allowed prior mineral designations to remain in force. a) Directly creating synthetic mineral-like compounds such as YAG (yttrium aluminum garnet) crystals used in lasers, silicon “chips” for semi-conductors, carbide grits for abrasives, and various specialty metals and alloys for magnets, machine parts, and tools. Other examples include bricks, earthenware, porcelain, glass and limestone-based Portland cement — the world’s most common form of cement, used in concrete, mortar, stucco and grout — a combination of calcium silicates, calcium sulfates, and other compounds. b) Indirectly contributing to the formation of new minerals through mining, with new compounds appearing on mine walls or in mine dumps, for example. Of special interest are minerals found associated with ancient lead-zinc mining localities, including some possibly dating from the Bronze Age, and others from as far back as 300 AD. In addition to creating new compounds, human activities such as mining and the transport of stone blocks, rocks, sediments, and minerals from their original location to help build roads, bridges, waterways, monuments, kitchen counters, and other human infrastructure, rivals in scale nature’s redistribution such as via glaciers. Mining operations, meanwhile, have stripped the near-surface environment of ores and fossil fuels, leaving large open pits, tunnel complexes, and, in the case of strip mining, sheared off mountaintops. Road cuts, tunnels, and embankments represent further distinctively human planetary modifications. Diamonds, rubies, emeralds, sapphires, and a host of semi-precious stones, accompanied by concentrations of gold, silver, and platinum, are found in shops and households in every corner of the globe. Collections of fine mineral specimens juxtapose mineral species that would not occur naturally in combination. From modest beginner collector sets of more common minerals to the world’s greatest museums, these collections, if buried in the stratigraphic record and subsequently unearthed in the distant future, “would reveal unambiguously the passion of humans for the beauty and wonder of the mineral kingdom," the paper says. Says Dr. Downs: “Given humanity’s pervasive influences on the environment, there must be hundreds of as yet unrecognized ‘minerals’ in old mines, smelters, abandoned buildings, and other sites. Meanwhile, new suites of compounds may now be forming in, for example, solid waste dumps where old batteries, electronics, appliances, and other high-tech discards are exposed to weathering and alteration." Says Dr. Grew: "These minerals and mineral-like compounds will be preserved in the geological record as a distinctive, globally-distributed horizon of crystalline novelty—a persistent marker that marks our age as different from all that came before." Other recognized anthropogenic minerals in this category include slag-related minerals as well as a pair from Russia, niobocarbide and tantalcarbide, which some experts believe may have been a hoax — “a laboratory product … deliberately passed off as a natural material” in the early 1900s. Though unlikely to pass scrutiny today, says Dr. Grew, previously recognized minerals such as these, rather than being invalidated, have been allowed to remain in the IMA catalog. Of the 208 human-mediated minerals identified by the Deep Carbon Observatory researchers, 29 contain carbon. Origins and forms, along with movements and quantities, are four themes of the DCO (deepcarbon.net). Dr. Hazen is the DCO’s Executive Director. Now we know that as many as 29 carbon minerals originated with human activities, of which 14 have no recorded natural occurrences. It is fair, therefore, to consider the 14 as the youngest carbon mineral species. Among the 14, candidates for the very youngest include a dozen minerals related to uranium mines. 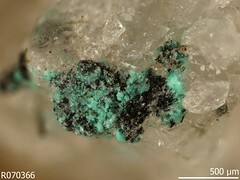 The mineral andersonite, for example, is found in the tunnels of certain abandoned uranium mines in the American Southwest. At places along the tunnel walls, sandstone becomes saturated with water that contains elements that form a beautiful crust of yellow, orange, and green crystals. Prized for its bright green fluorescent glow under a black light, a good sample of andersonite will fetch up to $500 from a collector. Another notable carbon-bearing mineral is tinnunculite, determined to be a product of hot gases reacting with the excrement of the Eurasian kestrel (Falco tinnunculus) at a burning coal mine in Kopeisk, Chelyabinsk, Russia. It was subsequently discovered also on Russia’s Mt. Rasvumchorr — an entirely natural occurrence. Tinnunculite is one of eight new minerals identified as part of the Deep Carbon Observatory’s Carbon Mineral Challenge (http://mineralchallenge.net/), launched in 2015 to track down an estimated 145 carbon-bearing minerals yet to be formally recognized. 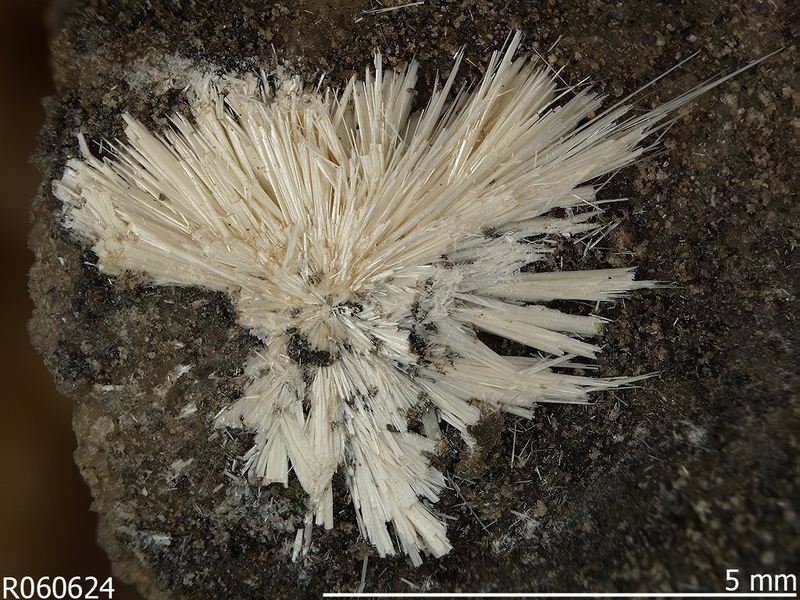 The IMA recognized tinnunculite as a mineral in 2015. Although yet to be confirmed by the International Union of Geological Sciences, there is growing advocacy for formal recognition of the “Anthropocene Epoch,” the successor of the Holocene Epoch, which began some 11,500 years ago when the most recent ice age glaciers began to retreat. Epochs are normally separated by significant changes in the rock layers to which they correspond. A 35-member Working Group on the Anthropocene (WGA) recommended formal designation of the epoch Anthropocene to the International Geological Congress on 29 August 2016. It may be several years before a final decision is reached. Click to download full-sized images. Blue fine-grained crust of chalconatronite from Mont Saint-Hilaire in Quebec, Canada. Michael Scott donated this sample. rruff.info/chalconatronite. Reddish brown acicular crystals of nealite coating a vug (cavity in a rock) from an Oxygon slag locality in Laurion, Greece. Michael Scott donated this sample. rruff.info/nealite. Fiedlerite consists of colorless prismatic crystals associated with phosgenite, polytype 1A. This sample is from Laurium in Attica, Greece and was donated by Michael Scott. rruff.info/fiedlerite. Colorless hexagonal tabular crystals of simonkolleite associated with blue platy crystals of composition CuZnCl(OH)3 on a copper mining artifact from the Rowley Mine in Maricopa County, Arizona, USA. Danielle Sotomayor and Keith Wentz donated this sample. rruff.info/simonkolleite/R130616. Metamunirite, R060624, is a tan colored radial spray of bladed crystals. This mineral was found in Big Gypsum Valley, San Miguel County, Colorado, USA and donated by Michael Scott. rruff.info/metamunirite. Aggregate of tan-colored platy crystals of abhurite from the wreck of the SS Cheerful, 14 miles NNW of St. Ives, Cornwall, England. Michael Scott donated the sample. rruff.info/abhurite. All photos courtesy of RRUFF. Top photo: Simonkolleite. Colorless hexagonal tabular crystals of simonkolleite associated with blue platy crystals of composition CuZnCl(OH)3 on a copper mining artifact from the Rowley Mine in Maricopa County, Arizona, USA. Danielle Sotomayor and Keith Wentz donated this sample. Rruff database.